You are essential to everything we do. Our amazing audiences and supporters make it possible for us to pay the many artists who work with us; give those artists access to more resources; keep our ticket prices low; and offer many free events like our Senses and Exclamation Point series. Contributions are appreciated and tax-deductible. Please donate online by clicking here or on our magnificent actor. And thanks!! Or just send a check! 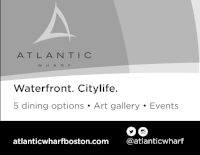 The address is Fort Point Theatre Channel, c/o Midway Studios, 15 Channel Center Street, #318, Boston, MA 02210. 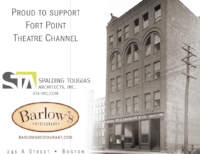 Please make checks out to Fort Point Theatre Channel.